We adorn ourselves and our surroundings with the creations made possible through sewing machines. Just glance around your surroundings; all the apparel, quilts, embroidery, and every stitched fabric in your view are the products of sewing machines. In the last couple of decades, sewing machines have gone through some major technological improvements while multiple sewing machine manufacturers have established their place in the industry. In this piece, we are going to discuss and review some of the best sewing machine models offered by the Japanese manufacturer Janome. Janome has been around for nearly a century and currently operating its retail operations in more than 100 countries. This fact alone suggests that the company has been offering quality products to seamstresses and couturiers all around the world. 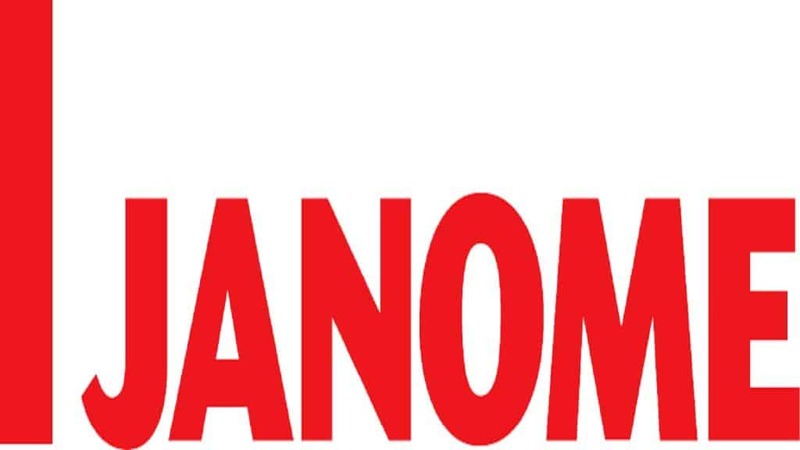 Janome is famous for offering heavy-duty machines in the varied price range for intermediate and expert users. Moreover, many ‘firsts’ from the sewing industry for home users can be attributed to Janome. For instance, Janome was the first company to introduce a computerized sewing machine for home users back in 1979. The company was also the first manufacturer to introduce high-quality embroidery and long-arm quilting machines for home users. Here, we are going to discuss some of the best Janome sewing machines that are on the block. We will try to touch upon both the upsides and downsides of every given model. The best Janome sewing machines that are currently on sale share various similarities. They are multipurpose, easy to use, and come at a price that’s deemed affordable for home users. It is important to mention here that we are not ranking the sewing machines. So, all the best Janome sewing machines reviewed here are not presented in order of any preference. The Janome 2212 is a lightweight, portable sewing machine designed for moderate use. You can employ them for all home sewing projects. You can also take care of some of the commercial projects with them. The machines come with 12 built-in stitches including the one with buttonhole (four-step). 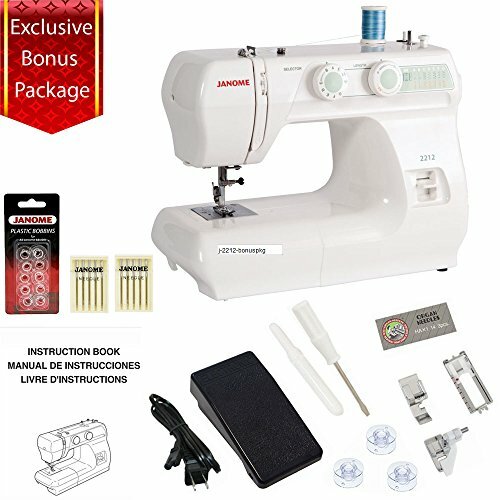 A new Janome 2212 sewing machine package comes with presser feet to stitch zippers and blind hems. Janome 2212 can ensure quick sewing by producing up to 1,000 stitches per minute. Users get the option to adjust stitch width and length. Users can also convert 2212’ssewing platform to the free-arm setting. The machine works on a drop feed mechanism to provide free-motion sewing on quilts. The built-in reverse stitching makes securing seams trouble-free. Some users might find stitch options in 2212 limited while using it for embroidery and embellishment. The machine only operates on 110-V input. So, it is not designed for users outside of the US. The many upsides and a few downsides suggest that 2212 is one of the best Janome sewing machines on the block. Janome 2212 enjoys a 4.3/5 user rating on Amazon. The Janome HD1000 is a heavy-duty sewing machine that operates on a powerful battery to provide extended non-stop stitching. Janome has used cast-iron aluminum for HD1000’s outer body to make sure it doesn’t get too heavy. Janome can work 1000 stitches per minute and can work on every fabric type. 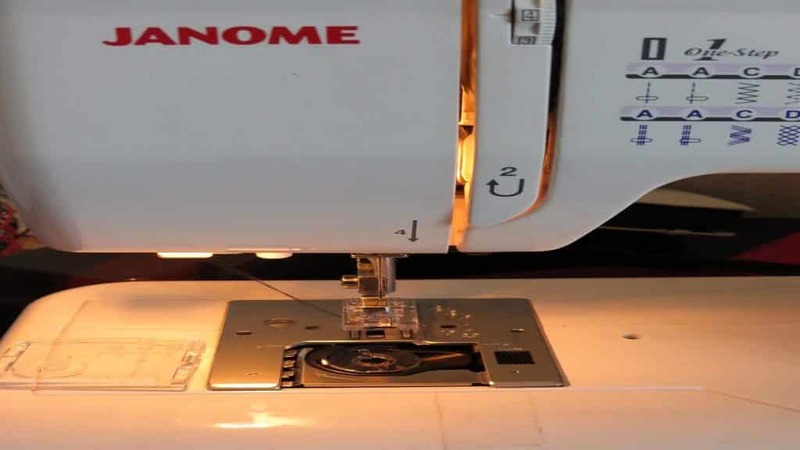 Users running home-based sewing ventures can find Janome HD1000 a perfectly functional piece. HD1000’s removable free-arm settingallows users to sew pants, cuffs, collars, and other tricky stitching portions with ease. HD1000 comes with a 3-piece feed dog system that makes for smooth and free-flowing fabric feed. This feature allows users to easily manage the stitching of high-pile fabrics and quilts. The built-in automatic needle threader makes the entire upper threading of the machine strain-free on the eyes. The machines come with only 14 built-in stitcheswhich is not a good number for heavy-duty sewing machines. Its large sizedoesn’t allow users to employ the machine in portable use. The Janome HD1000 is ideal to manage a range of customized everyday sewing projects. The machine is one of Amazon’s Choice products and has a 3.8/5 rating on the platform. Janome Magnolia 7318 Price: $299.00 "This is a perfect machine for a sewer to grow into over time." The Magnolia 7318 is one of the best Janome sewing machine models that are equally considered good for basic sewing and embroidery projects. Janome boasts of Magnolia 7318’s lightweight and thus adds a hand-carrying handle to the machine that makes it portable. The machine comes with a drop-in bobbin to ensure your sewing work remains tangle-free. Magnolia 7318 has 17 built-in stitches for regular and decorative sewing projects. The assortment includes one four-step buttonhole stitch as well. Magnolia 7318’s feed dog is impressively comprehensive. It’s a 7-piece mechanism that offers maximum fabric controlwhich is greatly required in embroidery and quilting works. The Magnolia 7318 doesn’t come with a free arm stitching feature. Beginner seamstresses might find it difficult to do some stitching without the option of the free-arm platform. Magnolia 7318 is not for consumers outsidethe US since it only operators on the 110-V power supply. 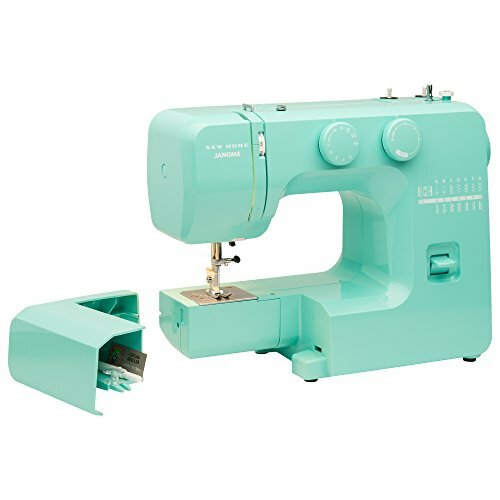 The Magnolia 7318 is a lightweight and compact sewing machine for all type of stitching tasks. 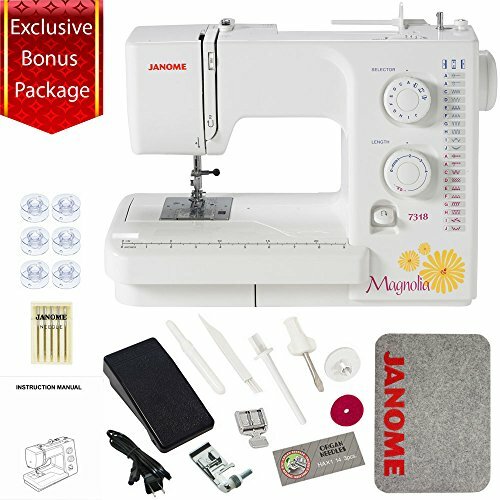 Magnolia 7318 has a 4.2/5 rating on Amazon, indicating that it is one of the best Janome sewing machines. The Memory Craft 6500P is one of those computerized machines from Janome that are equally good for home and commercial users. The computerization makes everything automatic. 6500P is a sturdy assembly that comes with a range of features to make it a perfect modern-day sewing machine. Memory Craft 6500P comes with 135 stitches that are assorted in five different modes to cover all types of sewing and tapestry projects. Eight presser feet are part of the stock Memory Craft 6500P package. 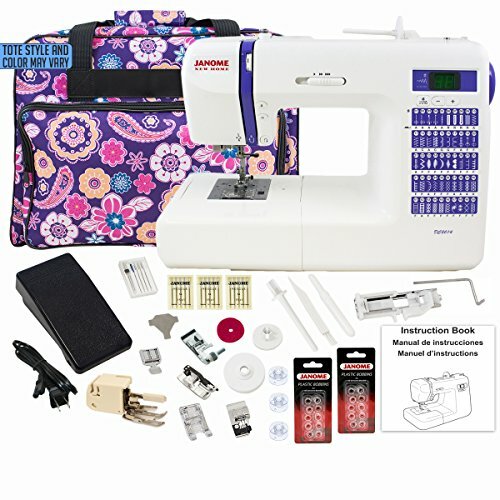 From ditch quilting to roller stitching, this large assortment offers a customized setting for every unique sewing task. The automatic thread cutter is also part of Janome Memory Craft 6500P’s assembly. This feature allows dressmakers and seamstresses to work on intricate sewing pieces without losing their focus even for a second. The stock package comes with an extension table to offer a large work area for extensive projects. The machine comes with a superior feed system (7-piece) to provide immaculate fabric control while quilting. The free-arm feature is missing in Memory Craft 6500P. Some users might find the computerized setting protocol of the machine complex to use. The Janome Memory Craft 6500P delivers excellent precision with stitching. It is a cost-effective option for seamstresses taking up extensive sewing and crafting projects. The machine enjoys a 4.1/5 rating on Amazon. Janome Arctic Crystal Price: $129.99 "It has all those stitches with easy threading and operation. The machine is sturdy and very functional." The Janome 11706 is the best Janome sewing machines for beginners. Its compact size, lightweight, and ease-of-use are the major reasons why many experts recommend novice crafters to set their hand to sewing and tapestry with Janome 11706. The carry handle and a weight of just over 11 lb make it an ideal portable device to take to sewing classes. The machine has enough built-in stitch options for beginners. The array of 11 built-in stitches includes all the basic ones and also two for stretch/zigzag stitching and one for buttonholes. Janome 11706 comes with the built-in free-arm featurewhich comes in really handy when beginners are learning to sew collars, cuffs, and other tricky spots. Besides regular presser foot, zigzag,and buttonhole feet also come with the machine. 3-piece feed dog gives a good idea to new crafters regarding fabric control. There are no noteworthy downsides of Janome 11706 except that users can’t use it for extensive expert-level sewing projects. Janome 11706 enjoys a 4/5 rating on Amazon primarily because it makes for an ideal sewing introduction to newbies. 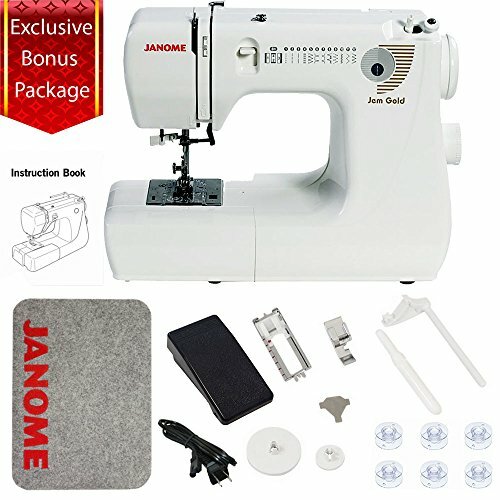 Janome 8077 Computerized Sewing Machine Includes Exclusive Bonus Bundle Price: $349.00 "I'm so happy. The machine is perfect for quilting. I must say it certainly delivered the quality." 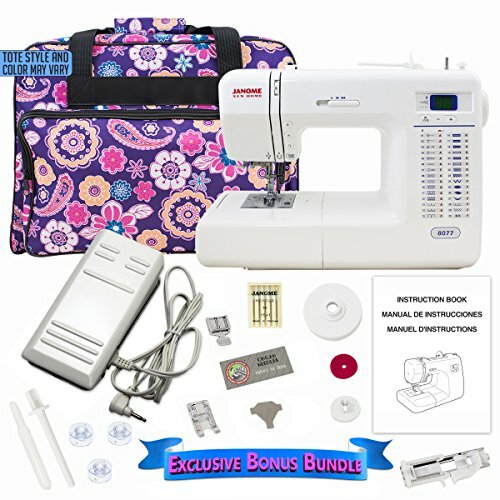 8077 is another computerized option among the best Janome sewing machines. With 30 one-touch built-in stitches taking care of every aspect of a sewing project, users have highly rated Janome 8077 for its ease of use. Janome 8077 offers more innovation with button sewing with six exclusive one-step buttonhole stitches. The machine offers an automatic threading system so that users can quickly get on with sewing and without straining their eyes. The transparent top drop-in bobbin system ensures no interruption happensduring ongoing sewing. Some users might find Janome 8077a bit expensive in comparison to the utility it offers. 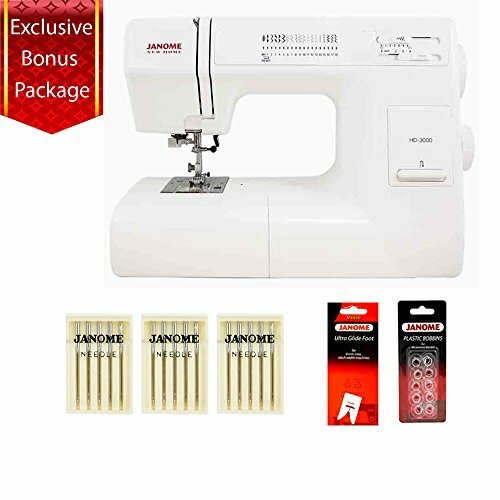 The 8077 is one of the top-rated Janome sewing machines on Amazon. The machine enjoys aggregate user rating of 4.7/5 on the e-commerce platform. Experts are of the opinion that it is one of the finest Janome offerings for sewing leather and denim. Janome DC2014 Price: $449.00 "Well designed and strong enough to sew anything I have ever wanted to work on." The Janome DC2013 can be called an economical upgrade to 8077. The machine comes with 50 built-in stitches that include options for every regular sewing and embroidery work. The array includes three different one-step buttonhole stitches as well. DC2013 also comes with Janome’s famous superior feed system that provides good control to users for maintaining the quality of stitches. Janome DC2013 comes with direct stitch selection buttons and customized automatic up/down needle stop motion. The machine has a built-in free arm to offer more ease-of-use to seamstresses. The machine is exclusive to the US market since it only operators on a 110-V power supply. Some users might find it difficult to adapt to the control panel of DC2013. 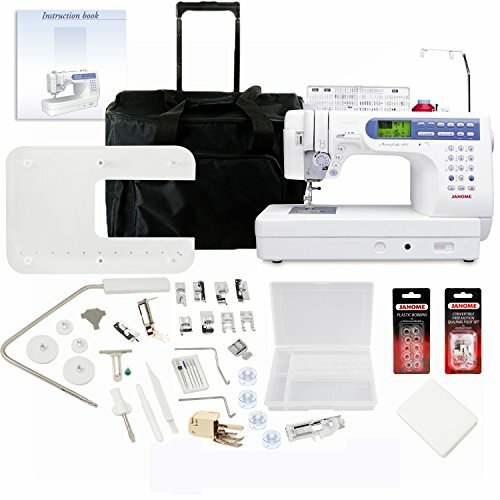 The DC 2013 is undoubtedly one of the best Janome sewing machines in the computerized category. The machine has a 4.2/5 rating on Amazon. Choose Janome DC2013 to manage huge tapestry workloads. Janome HD3000 Price: $429.00 "Love this machine. It sews light to heavy fabric like denim. It’s awesome." The Janome HD3000 is a perfect sewing assembly for crafters who are starting to work on larger sewing, quilting and tapestry projects. HD3000 is also considered ideal to set up work stations in a large-scale sewing facility. Janome HD3000 comes with automatic needle threading system so that you don’t have to waste your energy on unproductive manual threading. The top-loading bobbin system ensures jam-proof sewing. Janome HD3000 has the adjustable presser feet. This feature makes this machine ideal for sewingon every type of fabric. Users can adjust the pressure of the presser feet according to the thickness of the fabric set in the feeding system of the machine. Users can also transform Janome HD3000 into a free-arm sewing machine to smoothly sew parts that require careful handling. Five additional presser feet covers blind hem, rolled hem, overedge, buttonhole,and zipper stitching to the precision. The seven-piece feed dog system makes for ideal control during free-motion stitching or quilting. Janome HD3000 comes with 18 built-in stitches that might not cover some embroidery works. Some users might also find HD3000’sstitching speed of lesser than 1000 spm an underwhelming feature for a heavy-duty machine. 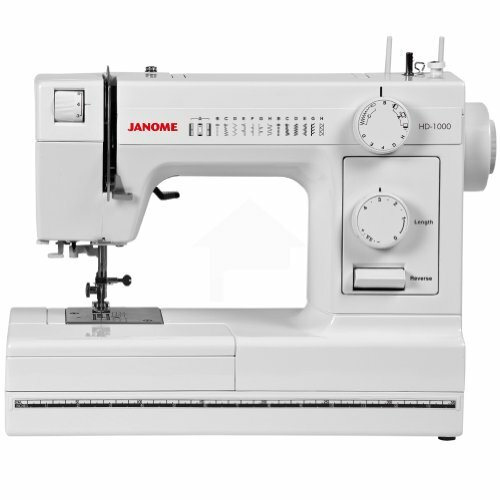 Overall, Janome HD3000 is ideal for both heavy-duty commercial and residential sewing. The machine has a 3.9/5 aggregate rating on Amazon. Last but not least, Jem Gold 660 is another product rated among the best Janome sewing machines. The machine is made for intermediate and expert-level sewing and quilting. The USP of Janome Jem Gold 660 is its extra lightweight assembly. This heavy-duty machine just weighs around 15 pounds, making it ideal for users attending advanced-level quilting and tapestry classes. The machine comes with automatic needle threader to protect users from unnecessary eye strain. The automatic adjustment of stitch width and length according to its type makes for easy and quick sewing. Users can also use Janome Jem Gold 660 in the free-arm mode to take care of tricky stitching parts. The machine comes with two extra presser feet to take care of buttonhole and overedge stitching with ease. Janome Jem Gold 660 comes with a limited stitch variety (only an array of 8 built-in stitches). Some users might also consider the absence of adjustable stitch length a downside. Janome Jem Gold 660 Sewing Machine enjoys 4.1/5 rating on Amazon. It is considered one of the best Janome sewing machines for quilting tasks. If you are a Janome fan, then you can easily pick the right option for your commercial and non-commercial sewing, quilting, and other tapestry works from the above-reviewed machine models.